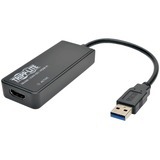 The USB32HDES Slim USB 3.0 to HDMI Adapter turns a USB 3.0 port into an HDMI output with 1920x1200/1080p video support. 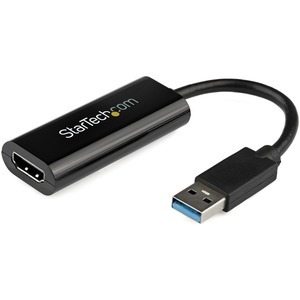 The adapter minimizes clutter with a slim design that seamlessly blends with your video cable - an ideal space-saving solution for multi-monitor applications on Ultrabook™, laptop, or desktop computers. 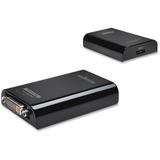 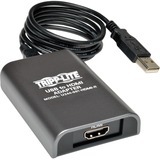 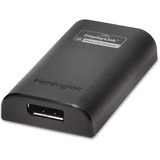 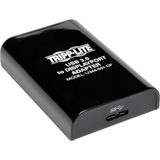 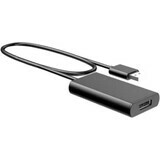 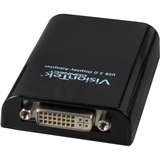 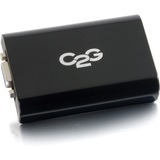 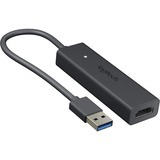 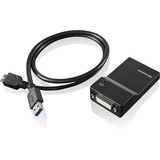 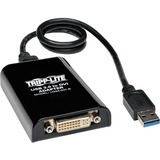 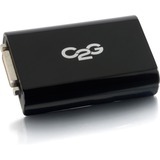 Functioning as an external graphics card, this USB to HDMI adapter provides a convenient way to add multi-monitor capability to a USB 3.0-enabled desktop or laptop computer (optimal performance from USB 3.0, backward compatible with USB 2.0). 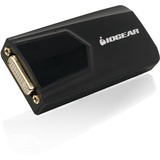 To save space while travelling, this ultra-portable USB to HDMI adapter features a lightweight, small footprint design that fits easily in a laptop carrying bag. 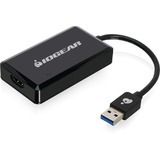 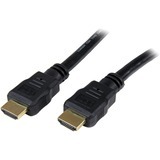 Leveraging the high-bandwidth (5 Gbps) SuperSpeed USB 3.0 interface, the adapter delivers smooth, high-definition content to your HDMI display/projector. 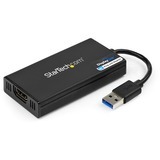 The adapter can be used to mirror your primary desktop, showing the same image on each display, or to extend your desktop to double your workspace and increase your productivity. 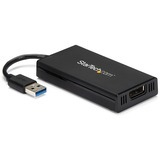 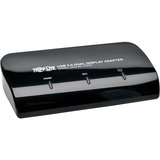 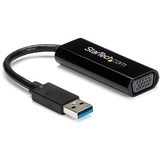 The USB32HDES is backed by a StarTech.com 2-year warranty and free lifetime technical support.